Ford will officially debut the next-generation Escape at the Los Angeles Auto Show later this month, but ahead of the crossover's official debut, we're getting our first look at one of the vehicle's new features: a hands-free power liftgate. How does it work? Simply kick your foot under the Escape's rear bumper (as long as the key fob is in your pocket) and the liftgate will open. When you're done, wave your foot under the bumper again, and the hatch automatically closes. It's a neat-o-nifty feature, no doubt, but this isn't the first time we've seen this technology. In fact, Ford first showed it to us on the now-dead seven-passenger C-Max, and the folks at BMW debuted this feature on the European-only 5 Series wagon. Regardless, it's a bit of added convenience that other vehicles in the segment don't yet offer. Click past the jump to see a video demonstration of the hands-free liftgate, and be sure to check out our latest batch of Escape spy shots if you missed them earlier this week. 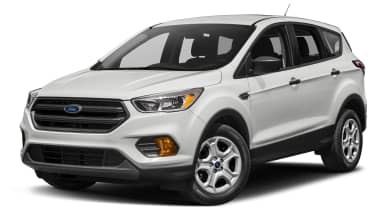 DEARBORN, Mich., Nov. 1, 2011 – Ford this month is introducing its all-new Escape SUV featuring a segment-first hands-free power liftgate that opens with a simple kicking gesture under the rear bumper and without the need to fumble for a key. The new Escape, which makes its debut at the Los Angeles Auto Show on Nov. 16, will be the first SUV to use gesture-based technology – similar to that found in video games – to open the rear liftgate. A gentle kicking motion under the center of the rear bumper activates the system and raises the liftgate. The same kicking motion closes the liftgate as well. "The hands-free power liftgate is yet another innovative Ford technology that makes customers' lives easier," said Jason Sprawka, Escape brand manager. "New Escape owners will be able to load their vehicle without ever having to set packages or gear down." The hands-free liftgate builds on Ford's Intelligent Access push-button start. It allows customers to unlock and start their vehicles without having to take the key out of their pocket or purse. The hands-free liftgate uses two sensors in the rear bumper to detect a person's shin and kicking motion. The system safeguards against accidental opening by being programmed to open with leg motions – not when an animal runs under the car or when the vehicle hits a bump on the road. The liftgate height can be programmed or adjusted manually to meet specific customer needs.